"I do not know right now what to do or say. Except to express my love and gratitude for my family and friends and husband who lived through this with me; and to those who helped lift the HIV ban; and to my lawyer who was simply magnificent; and to those who did what they could - and they know who they are - to keep this show on the road. "But I do know this. America remains the great dream, the great promise. For all its dysfunction, it remains an ideal, a place where the restlessness of the human mind and soul comes to rest in a place it constantly reinvents and forever re-imagines. I know this in my bones, perhaps more than many who take this amazing mess of a country for granted. But for the first time in my life, I do not feel somewhere in my psyche that I am displaced, unwelcome, an impostor." 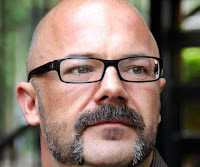 - Andrew Sullivan, announcing the long-awaited granting of his green card.